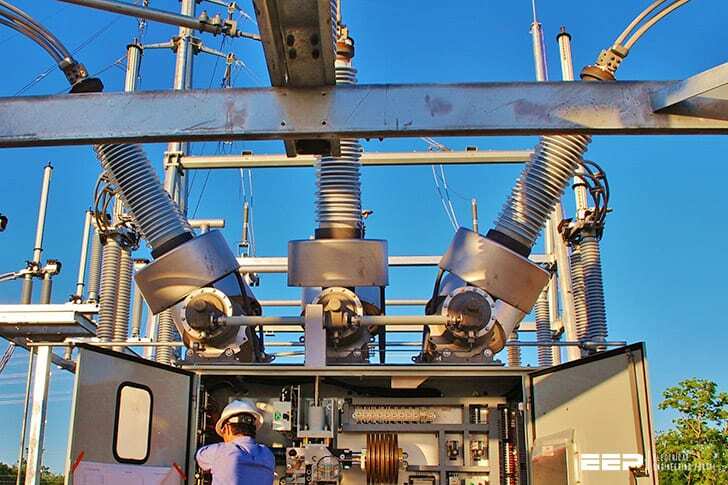 The measurement of insulation resistance is carried out to check the healthiness of the transformer insulation. 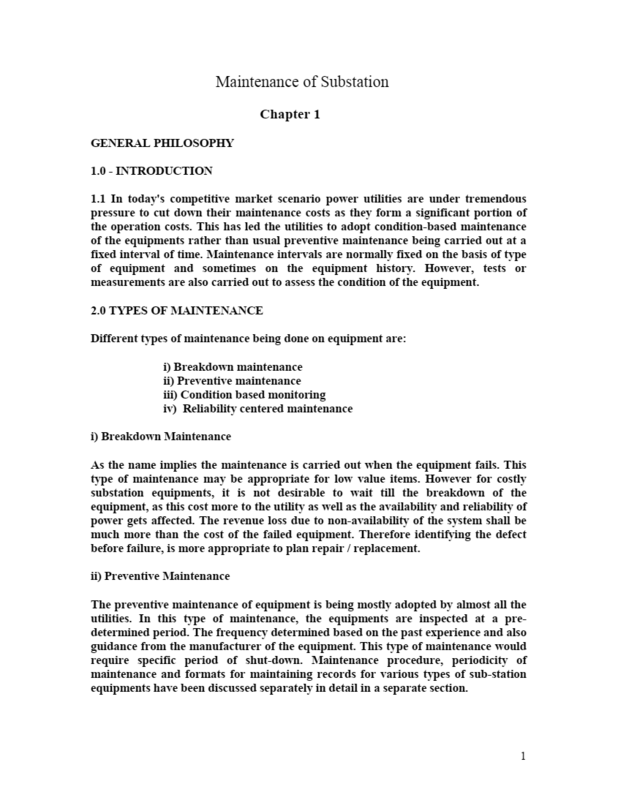 This test is the simplest and is being widely used by the electrical utilities. This test indicates the condition of the insulation i.e. degree of dryness of paper insulation, presence of any foreign containments in oil and also any serious defects in the transformer. The measurement of insulation resistance is done by means of Megger device of 2.5 kV for transformer windings with voltage rating of 11 kV and above and 5 kV for EHV transformers. All safety instructions have to be followed as per the utility practice before carrying out this test. It has also to ensured that high voltage and low voltage windings are isolated along with the concerned isolaters. In case transformer is having a tertiary windings, ensure the isolation are the same prior to commencement of the test. Also the jumpers and lighting arrestors connected to the transformer have to be disconnected prior to start of testing after issue of PTW/SFT. Following precautions may be taken while conducting the above test. Bushing porcelain may be cleaned by wiping with a piece of the dry cloth. When using a Megger, observe the usual accident preventive rules. As the windings possess a substantial capacitance, the current carrying cords should only be touched after the electric charge have been removed from them. Connecting wires from the bushing line lead and tank to megger shall be as short as possible without joints and shall not touch tank or each other. IR measurements shall be taken between the windings collectively (i.e. with all the windings being connected together) and the earthed tank (earth) and between each winding and the tank, the rest of the windings being earthed. Record date and time of measurement, sl.no., make of megger, oil temperature and IR values at intervals of 15 seconds, 1 minute and 10 minutes. The live terminal of the equipment shall be connected to the winding under test. Check the IR values with the values given in the test certificate by the manufacturer. These values may be used as bench marks for future monitoring of the IR values. The IR values vary with the type of insulation, temperature, duration of application of voltage and to some extent on apply voltage. The IR values in air will be nearly 15 to 20 times more than in the transformer oil at the same temperature. You are doing a great job Edvard,thank you. Thank you so much for enlightening my path! This portal is by far the best resource for any electrical power engineer. I have no doubt “Electrical Engineering Portal” will help me build up my knowledge and I will become an expert in the near future. Thank you Hermann, that’s very kind of you. thank you for your daily updat.